There is something special about this time of year on the Wabash campus. Students have completed their final exams and papers, winter sports teams have started their seasons, and the first snowfall of the year has come and gone. Indeed, the end of the year and the season of giving is upon us. It is at this time of year that we take a moment to look back at the last year and also to think about how fortunate we are at Wabash College. This fall has been marked by events that are not only memorable, but in many ways inspirational for the Wabash community. 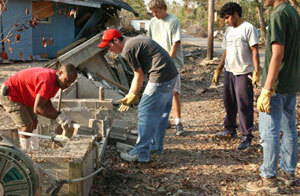 Students worked together to raise money and provide relief for victims of Hurricane Katrina. They raised money for women’s shelters in Indianapolis and Crawfordsville. Jeremy Robinson ’04 became Wabash’s eighth Rhoades Scholar. Wabash’s National Survey of Student engagement scores were off-the-charts. The football team went 11-1 and clinched their second NCAC championship in five years. And more recently, Lilly Endowment Inc. awarded Wabash $20.5 million worth of grants for the Center of Inquiry in the Liberal Arts and the Wabash Center for Teaching and Learning in Theology and Religion. 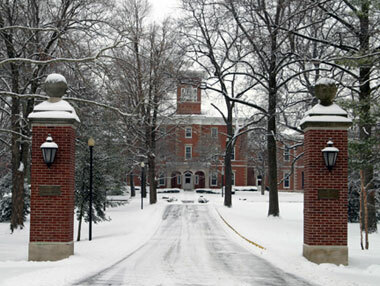 What is really significant about this time of year is we realize that it is Wabash students who benefit so much by these accomplishments and during this ‘Season of Giving.’ Gifts to the Annual Fund by alumni, friends, parents, faculty, and staff have a significant impact on Wabash students and their experience. In fact, over 60 percent of those who give in support of Wabash students give to the College’s Annual Fund by December 31st. From technology to teachers, scholarships to scholarly journals — gifts to the Annual Fund help make the Wabash experience complete and have a collective impact on everything we have to offer Wabash students. Just as Wabash students can count on a quality liberal arts education, we count on the continued support of Wabash alumni and friends to ensure that the Wabash experience is complete. While the College’s fiscal year runs through June 30, 2006, a majority of donors make their gifts by December 31st. Alumni and friends can make their gifts online at www.wabash.edu/alumni/egift or by phone at 877-743-4545. This year, Lilly Endowment Inc. will match all alumni gifts $1.25 for every $1.00 up to $2 million, for a total match of $2.5 million. This matching opportunity will more than double the impact of every gift for Wabash students. If alumni and friends are Indiana residents they can take advantage of the Indiana tax credit where the state will credit up to 50% of their gift to Wabash against their state income taxes. Others might be able to take advantage of additional state and federal tax benefits. Indiana residents who make a gift of $25 or more to the Annual Fund are also eligible to take advantage of the College’s license plate program and help "Spread the fame of her honored name…"
Those alumni and friends who make a gift to the College might be able to double or triple the value of their gift if their employer offers a matching gift program. Visit www.wabash.edu/alumni/matching to search for companies with matching gift programs. Those friends who make a gift by credit card should do so by December 31 to make sure they get proper credit for the 2005 tax year. Wabash men have given of their time and talent during this past year. We hope you will help in completing the Wabash experience for current students by making a gift to the Annual Fund.